Paul Rottenberg, Owner/President of Orchestrate Management, knows a thing or two about what it takes to hatch, launch, and manage a new restaurant concept. During his 40 years working in restaurants and hospitality, he has partnered on successes like Zombie Burger + Drink Lab, recently named among America's Top 10 places to get a burger, and the urban italian eatery Centro, named Cityview's Best Local Restaurant multiple years by Des Moines residents. What he loves about his job is both the logistical demands (a perfect match for his background in managerial accounting) and the creative churn that comes with concept development and actualization. 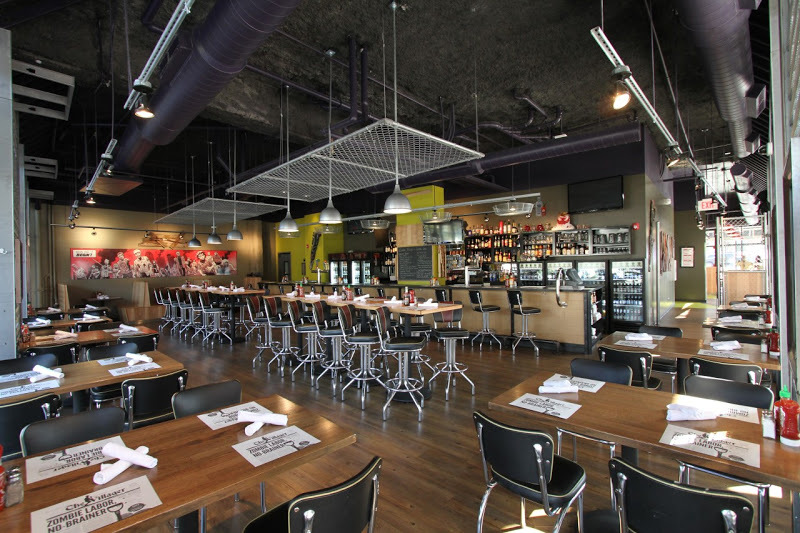 Zombie Burger + Drink Lab, recently named one of America's top ten restaurants to get a burger. Each project, Rottenberg says, begins in collaboration with Des Moines Chef and Baker George Formaro to hatch a food concept. Rottenberg then searches for a storyline to accompany it, often turning to travel for inspiration. Whether he's in Chicago, New York, or Mexico, he tours key locations, snaps photos, and finds himself brainstorming around the clock. "I question everything," he says. Rottenberg hones his concepts by examining the physical and economic constraints of the project. From the menu, equipment, timing, to the dining room layout and seating. In the end, it's not all about having the best idea, Rottenberg explains, but the ability to adapt once the doors open. 1. Define what you're doing. As with any business, be able to describe what you're doing in very few words. Centro, for example, is an 'Urban Italian Eatery' and Django is 'French without the attitude.' Have this short version, as well as a longer version. Spend time doing market research. How many people need to come to pay rent? If they don't come, do you have a Plan B? What is your throughput and how many staff can you hire? Such projections are essential for adapting along the way. 3. Have a numbers person. If Rottenberg was to give one piece of advice, it's that every restauranteur needs someone with managerial accounting experience on their team. Because while putting great food on a plate and hanging art on the walls are integral parts of a business, you "must understand the math." For his his latest project, a Latin-inspired restaurant/bar named Malo, Rottenberg is still mid-process. The location will open next spring in a renovated downtown firehouse, new home of the Des Moines Social Club. Until then, he'll be questioning everything.